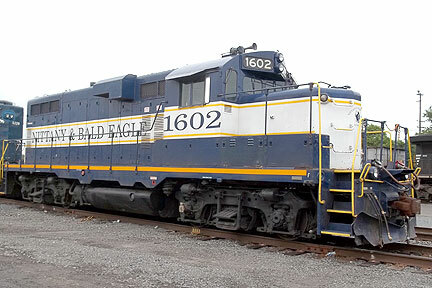 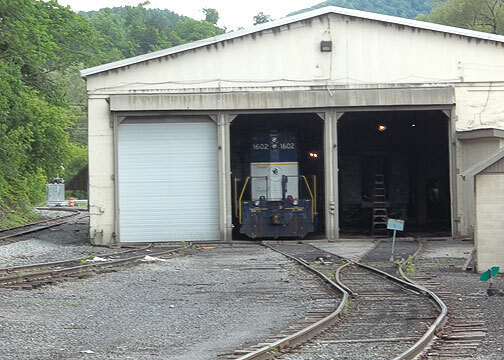 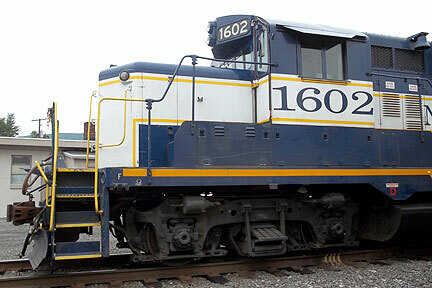 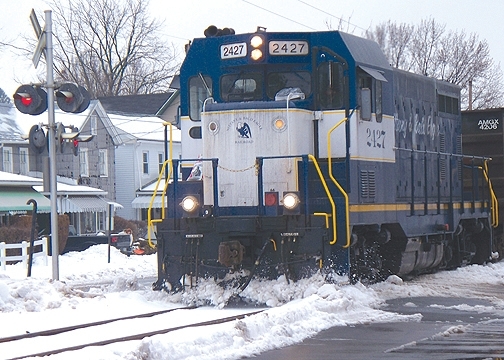 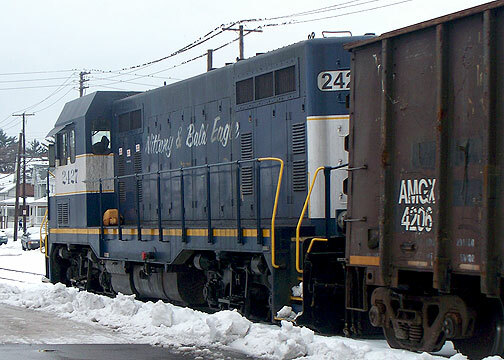 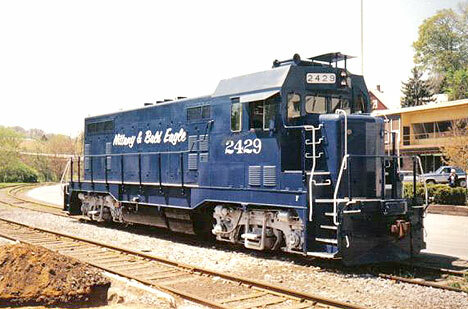 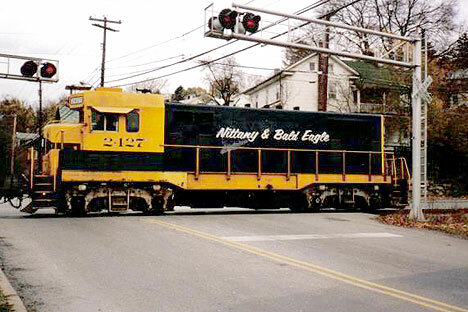 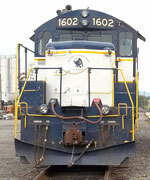 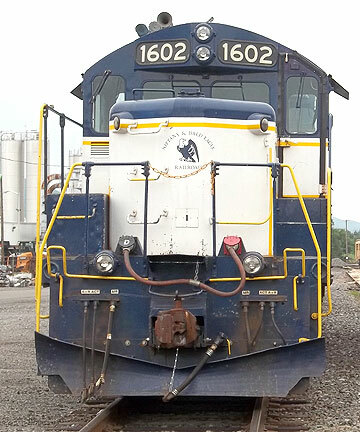 A Breif History - The Nittany and Bald Eagle Railroad (NBER), a division of the North Shore Railroad Company, established August 1, 1984, is a seventy mile line serving the communities of Lock Haven, Tyrone, Bellefonte, and State College. 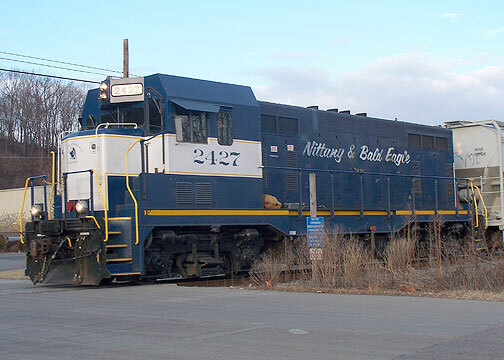 The Nittany & Bald Eagle serves industry in Blair, Centre, and Clinton Counties, hauling large quantities of stone and general merchandise, and serving as a bridge line for the movement of coal to power plants. 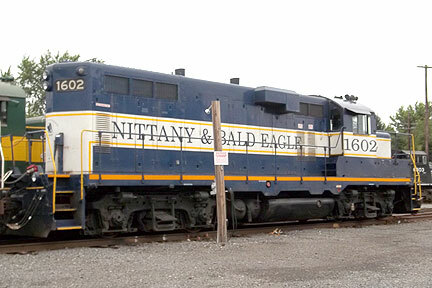 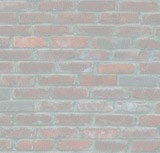 Nittany's blue and white colors honor Penn State Univeristy.